Sworn Enemy in Montreal or Quebec City? Inform me about the next events for Sworn Enemy. Enroll yourself to our priority waiting list for Sworn Enemy to be alerted when new tickets are available. Filling this form doesn't engage you to any purchase. Sworn Enemy will soon be on tour and of course will come to our fair city and you would like tickets to her show? Book your tickets for this concert with 514-Tickets. 514-Tickets is a broker specializing in the resale of tickets of all kinds. Rock concerts, comedy shows and of course Hockey and other sporting events. 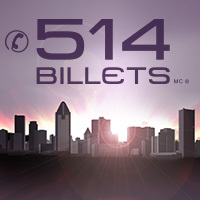 514-Tickets offers you the chance to attend the most coveted events in Montreal. Our team will be happy to help you and answer all of your questions. Just give us a call at 514-245-5387. We wish you a very pleasant shopping experience!